The arena shooter genre claims some of the most iconic titles in gaming history, including both the Quake and Unreal Tournament series. 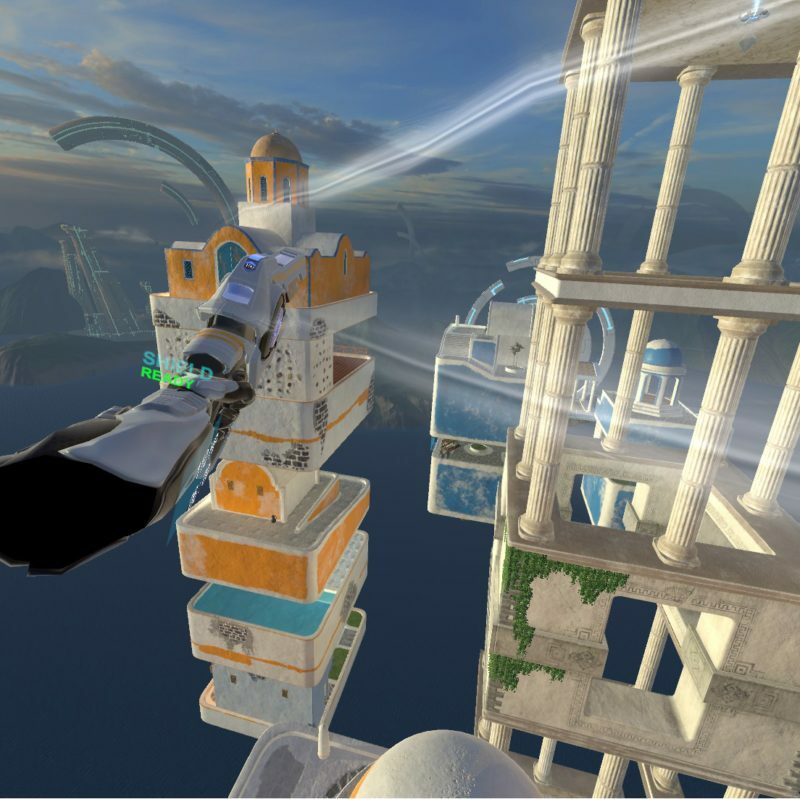 While noteworthy additions to this storied category have been few and far between recently, Levity Play has attempted to break the cycle and introduce some zero-gravity mayhem to the mix with their first game, Skyfront VR. While the Steam page offers a bit of a storyline (futuristic battle-royale-to-remember-the-past tropes), Skyfront soldiers on without much preamble. 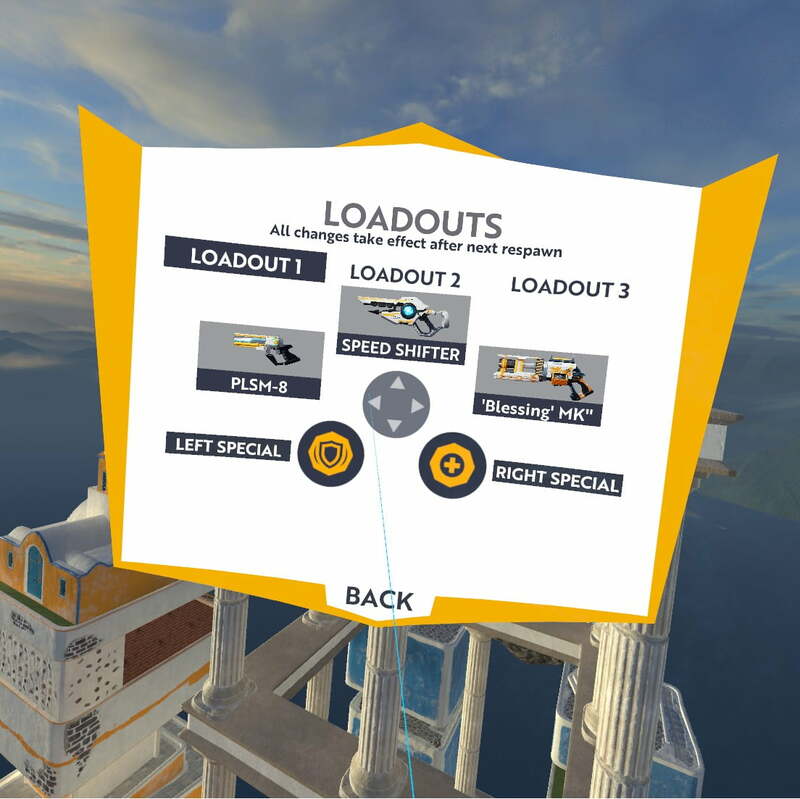 At the launch of the Early Access phase, there are both deathmatch and team deathmatch game modes, and the developers plan on including capture-the-flag and several additional modes later on in development. Having only had access to one of the two available maps, three of the five special abilities, and three of the five available weapons, my experience was somewhat limited, but nevertheless enjoyable. Perhaps the biggest limiting factor was the lack of available players, since much of my time was spent shooting bots in an empty server. That being said, I was able to find several other players on a few occasions, and what resulted was pure, unbridled mayhem. It never saw me coming. The mobility behind Skyfront truly is the game’s selling point. 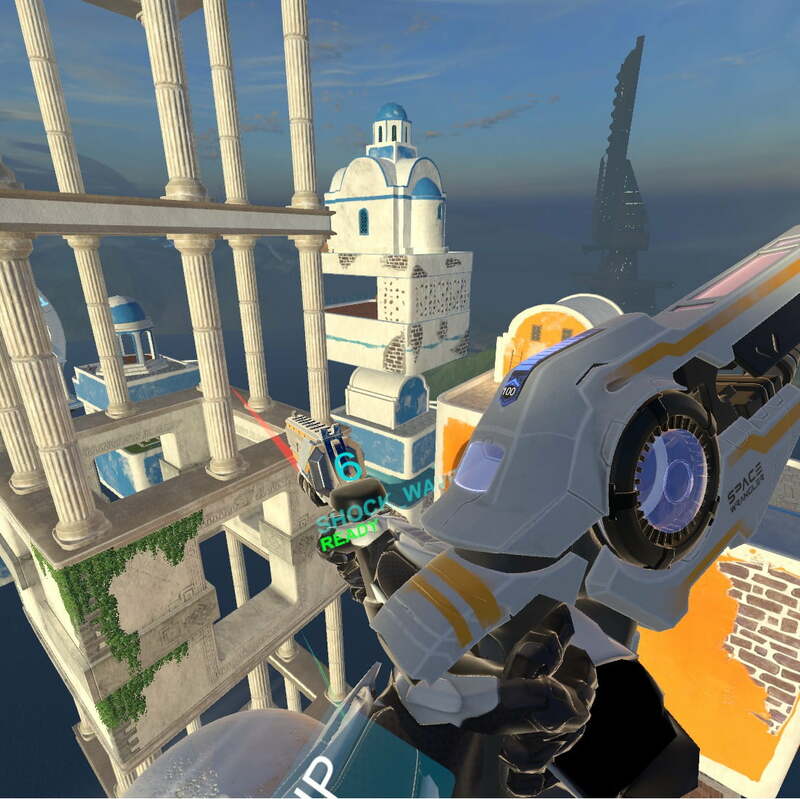 Each player is given a “locomotion device” that propels them across the map at breakneck speeds (think of being dragged by a dog on a leash…except the dog flies), taking the fight from ground-level skyward and adding a whole new dimension to your average arena shooter. 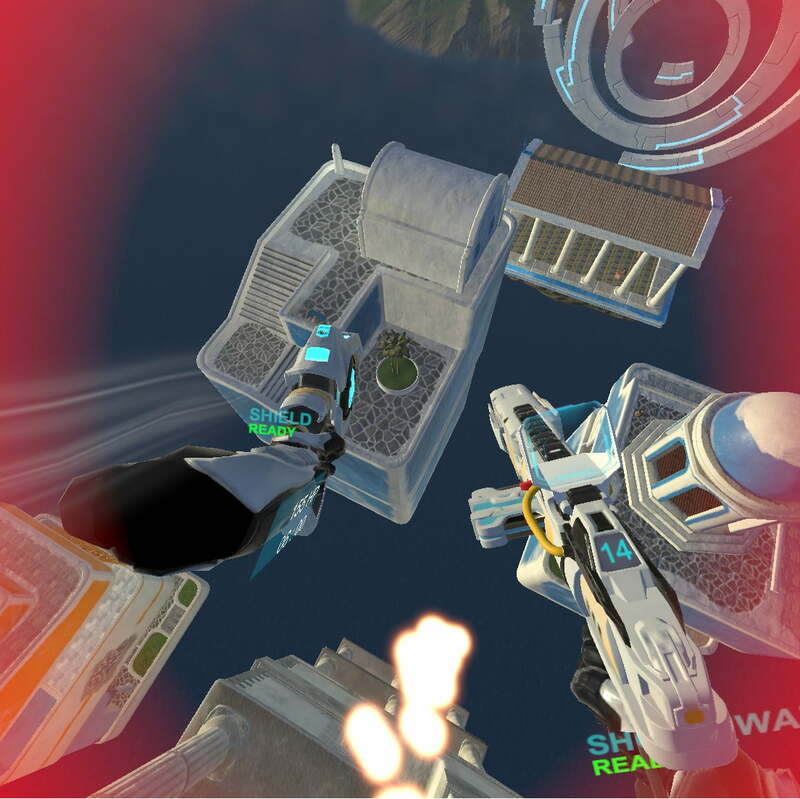 Where it once sufficed to look in front and behind you, players in Skyfront now have to fend off attacks from above and below. There was no shortage of joy in my time spent flying around the map, zooming between buildings and ambushing deathbots. Some of the aerial acrobatics even gave me the distinct sense of vertigo akin to skydiving, except now I was free-falling with a very big rocket launcher. In addition, players can also utilize a long-range grappling hook for quick bursts of speed over short distances. Pairing the two required some practice but really made for some tense maneuvers. It’s enough to make the stomach flip.. The combat itself is fairly bog standard, relying on your traditional laser rifle, revolver, rocket launcher, and so on. Each fires and functions as you’d expect, but the damage per shot is a little suspect (it should not take the same number of rockets as it does shots from the revolver to take down a deathbot), so balance adjustments might be necessary as the player base increases. The special abilities ranged from health regeneration to shields to an offensive shockwave, each performing, again, just as you’d expect them to. Skyfront’s innovation lies with it’s locomotion while everything else is there to complement it. While the head tracking ran fairly smooth, the controller tracking was a major issue throughout my time in the game. While I understand the complications involved with room-scale tracking, I can’t have my guns tracked four feet lower than my torso every time I turn around. Poor tracking leads to frustrating gameplay, which in turn leads to empty servers. Every rocket launcher is a blessing. Skyfront’s old-meets-new environmental aesthetic is oddly pleasing. The one map I had access to included Grecian temples, statues of goddesses, and floating killer robots encased in a shielded holo-dome. The clash is tastefully executed and provides an exciting number of set pieces to fly through. However, there is a certain lack of interactivity that I found mildly frustrating. Certain pots and benches explode into shrapnel when shot, but a grand majority of the map is static. You’d think that buildings that float on futuristic suspensors should move around and fruit stands should burst into flames when I shove a rocket into the apples and oranges. It’s a good thing I don’t take damage when I fly into walls. The game’s visual display is also nicely balanced. Player health and special ability cooldowns are displayed on each wrist, and the rest of the view is fairly uncluttered. The menus and loadout screens are relatively simple, but the small number of weapons and abilities negates the need for anything more complex. In-game audio, when I actually got it to work a handful of times, was limited to gunshots and explosions, and while I appreciate the sound of a laser rifle as much as the next person, it gets rather old when there’s nothing else to hear. Levity Play seriously needs to look into some high-octane orchestral pieces to compete with the gameplay. Overall, I’m excited for what Skyfront could be based off this small taste. The dynamic movement throughout the map allows for some truly exhilarating shootouts, and the uncluttered number of guns and abilities keeps things simple and fun. 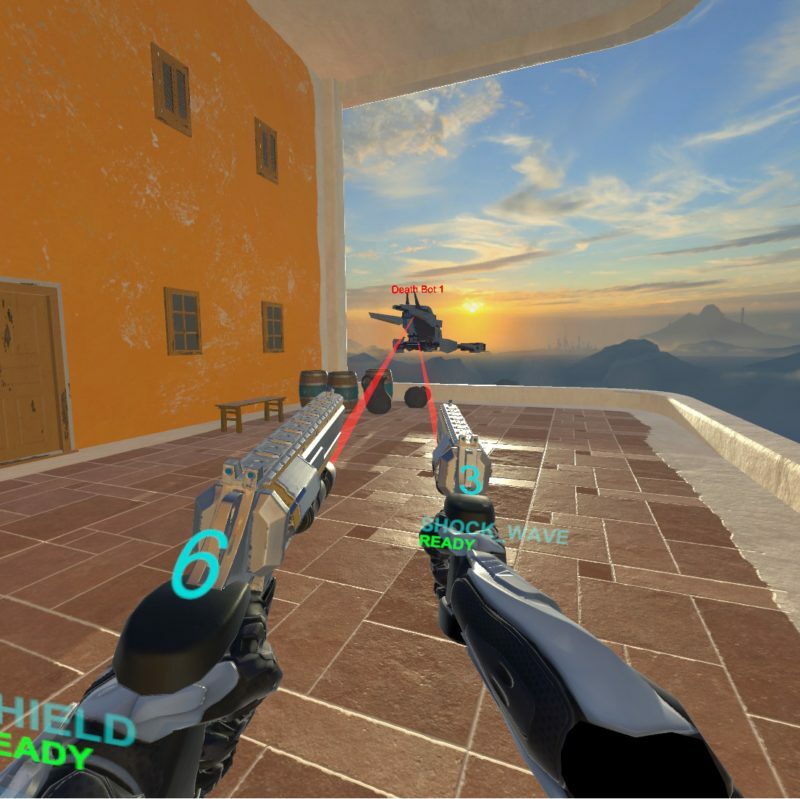 With a couple technical tweaks, some sweet soundtracks, and a healthy player base, Skyfront has the potential to make waves in the VR arena-shooter ranks.